What can you say when the President of the United States panders to Tiki-Torch bearing Neo Nazis, the KKK and white supremacists who marched in Virginia in August, other than America has gone mad. Or Trump has. Even the Washington Post and the New York Times are now calling Trump The Mad King. It’ll be old news by the time you read this, but after Trump’s initial milquetoast condemnation of racism, he went off-script and said that some “very fine people” were walking armband-in-armband with all those angry white men waving Nazi flags and giving Nazi salutes while chanting “blood and soil” and “Jews will not replace us.” Then Trump doubled down, alleging that there was violence “on both sides” despite the fact that a Neo-Nazi killed a counter-protester with his car. The only people who liked what Trump said were Richard Spencer, the white supremacist leader, and David Duke, the former Grand Wizard of the KKK. Unfortunately, Trump can’t defend Neo-Nazis, the KKK and other white supremacists or engage in moral equivalency between Neo-Nazis on one side and everybody else on the other, unless he has a screw loose or he’s sympathetic to them. Or both. As Seth Myers pointed out, even the owners of the Tiki Torch Company condemned the Nuremberg-esque use of their backyard torches at the rally. It’s really easy. Unless you’re singing, dancing or marching to “Springtime for Hitler” from The Producers, “very fine people” don’t sing, dance or march with Nazis. Period. As for Trump, I sense he’ll either be impeached or removed under the 25th Amendment to the United States Constitution, within a year. In fact, CBC Radio’s Day 6 features a weekly “Impeach-O-Meter” segment, providing a weekly score of the likelihood of impeachment, based upon Trump’s previous week’s tweets and conduct. Perhaps someone should run a Trump impeachment pool instead of a hockey pool this year. On the bright side, I think we’ve learned a few things this year. First, the rule of law matters, and it’s all the more important to defend it when it is under threat by those who don’t respect it. Whether it’s Russia, China, Turkey, Egypt, Iran, Poland, or even the United States, the rule of law is fragile, and we only see how fragile it is when it is under attack. Second, a vote in a democratic election is profoundly important. Failure to vote has unintended consequences and can result in chaos. If, as they say, chaos is a ladder, then failure to vote conceivably allows Neo-Nazis, white supremacists or their apologists to climb that ladder. It’s trite but true: the only thing necessary for the triumph of evil is for good men and women to do nothing. Third, we should encourage defenders of the rule of law and civil society to enter public life and to serve. To that end, we should strongly encourage members of our profession to get more involved politically at the municipal, provincial or federal level; to run for positions within the CBA; and to run for election as Benchers of our Law Society. Finally, anyone that attends a white supremacist rally is going to get filmed. Their photographs or videos will be all over the Internet and on the news and they will likely lose their jobs, if they have jobs. And I suppose, that’s one good thing about the Internet. 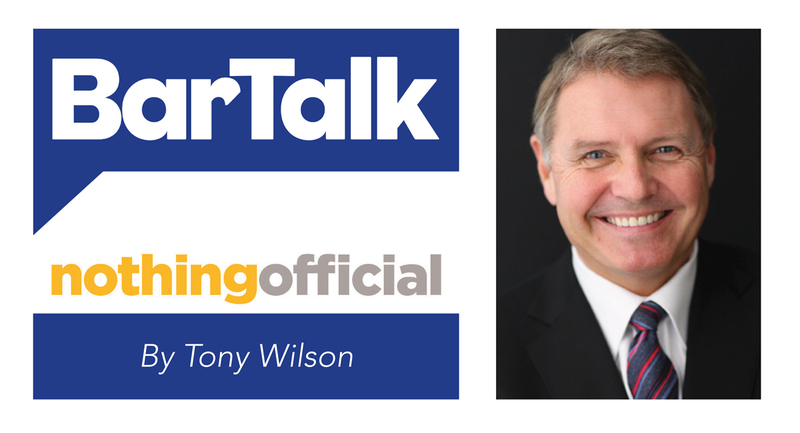 Tony Wilson, QC is a franchise lawyer at Boughton in Vancouver and a Bencher of the Law Society. The views expressed herein are strictly those of Tony and do not reflect the opinions of the Law Society, CBABC, or their respective members.